Joy Clarke, a well loved member of the Retail team based at Plympton, is retiring at the end of November after eight and half years’ dedicated service. Joy returned to live in Plymouth from Torquay following the death of her partner. 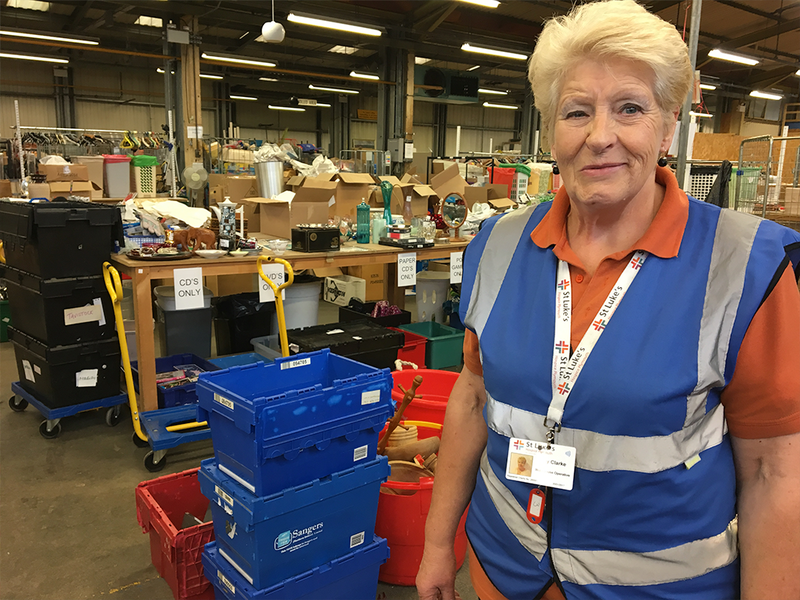 Keen to work and with good knowledge of St Luke’s gained through fundraising via a local Lion’s Club, she soon proved herself a great asset, working on everything from logistics to sorting through bric-a-brac donations. Particularly enjoying the research involved, Joy quickly developed something of an eye for spotting ‘buried treasure’ among the piles of donated items and selecting those most likely to fetch a good price at auction. In her first year, sales from the auctions soared from £800 to £12,000 and gradually Joy’s hours increased until she became full time. We wish Joy much happiness in her retirement.